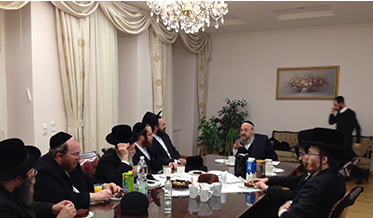 As part of a continued effort to develop the Vienna chapter of Bonei Olam, Rabbi Schlomo Bochner, founder and executive director of Bonei Olam, traveled to Austria to meet with askanim and prominent community members. Many topics were discussed including how to make Bonei Olam's services more accessible to community members and how to forge solid connections in order to increase donations. Rabbi Bochner proclaimed the meeting a tremendous success, from both the financial and medical perspectives and we look forward to continued growth in Vienna.